Prized by the Aztecs as a gift from the gods, agave nectar imparts a rich, clean sweeness to drinks; slightly sweeter than sugar. 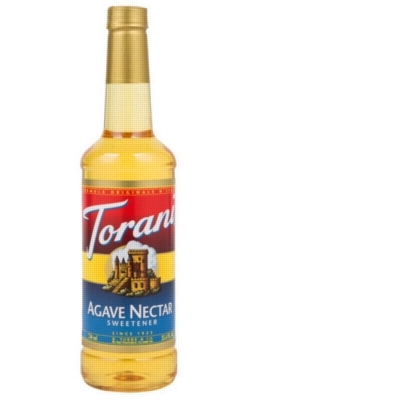 Torani's agave nectar sweetener features organic agave syrup. A tropical alternative for iced tea, hot tea, chai, coffee, and more! Once case = 4 plastic bottles.